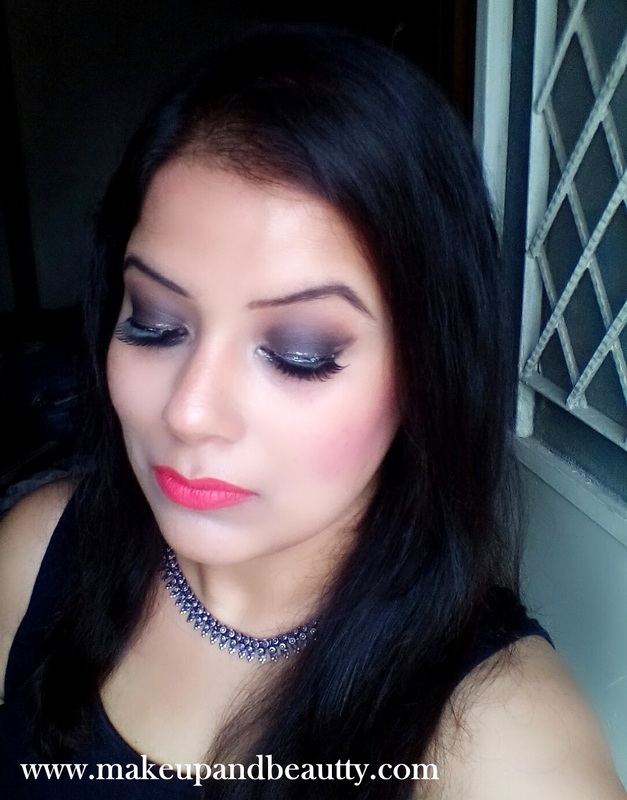 "The smoked out look with subtle shimmer on eyes is the trend of this festive season. As metallic lips are so "IN" now so to match to it that subtle shimmery eyes are giving competition too. It should be one thing at a time, either lips or eyes focus in makeup. 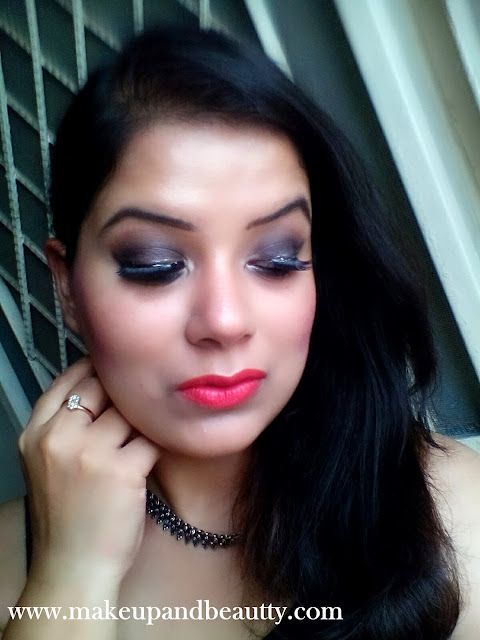 So, I choose eyes today as I already did metallic lips here and in this tutorial here to show you the trend of metallic lips." Yeah, today I am going to talk about my recent buy from URBAN DECAY cosmetics. After buying the whole lot of URBAN DECAY NAKED 2 and 3 PALETTE (see my haul here) as I have Urban decay naked 1 palette, I thought my collection ends here as these palettes already made a hole in my pocket. But at that moment URBAN DECAY was having a flash sale for one day where URBAN DECAY SMOKED PALETTE was half of its original price. I was not sure how to grab that offer at that moment. But luckily one Instagram seller was taking pre-order for this palette for one day and without a second thought, I grab this palette from her. Price:- $54 in urban decay website, I grab it in Rs.3100/- for one day sale. Availability:- On urban decay website, URBAN DECAY doesn't ship to India. But you can grab it from Instagram sellers, I bought mine from LACHICWIK Instagram sellers. We packed this palette with a dozen sultry, smoky neutrals, including nine never-before-seen shades and three exclusives from past palettes. Experiment with warm bronzes, dimensional grays, rich browns, gorgeous taupes and deep black. From mattes and satins to shades with sparkle, Naked Smoky has it all. Each shade in Naked Smoky features our Pigment Infusion System™, the proprietary blend of ingredients that gives every shade its velvety texture, rich color, serious staying power, and bendability. What you see is what you get: High (champagne shimmer w/micro-glitter), Dirtysweet (medium bronze), Radar (metallic taupe w/iridescent micro-glitter), Armor (metallic silver-taupe w/tonal sparkle), Slanted (light metallic gray), Dagger (medium charcoal w/micro-shimmer), Black Market (jet-black satin), Smolder (deep plum-taupe), Password (cool taupe matte), Whiskey (rich brown matte), Combust (soft pink-taupe) and Thirteen (light beige satin). The smoked out the gray color of the outer carton and on the upper lid of the palette designed with much care. The name "NAKED SMOKY" emboss on the palette with silver mirror design that you can fee the words if you touch it. "It look like those secret box of magic". The entire packaging just true to the name of the palette. The eyeshadow case is little heavy and the lid close with a magnetic closer. It comes with a mirror and with a dual ended brush which is much useful one (I use that brush only from the palette to create this eye look). When we talk about eyeshadows, URBAN DECAY makes some highest quality of eyeshadows. In another word, URBAN DECAY eyeshadows are best eye shadows in this makeup world. So it is quite obvious that the eyeshadows in this palette are at its best quality. All the shades are super pigmented. 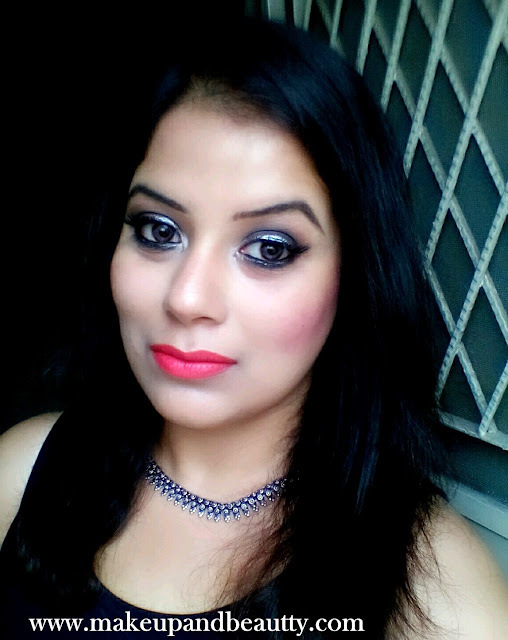 All eyeshadows can be applied on the lower lashline area too, as there is no restriction like URBAN DECAY ELECTRIC PALETTE (reviewed here) . They are easily blendable. No fallouts and no chalkiness in any shades. The eyeshadows in the palette are nicely coordinated with each other and with the name "SMOKY" of the palette. The eyeshadow remains 7 hours plus approx. on my oily eyelids without any smudging or fading. They are easy to remove too thus no irritation on the eye while removing it. 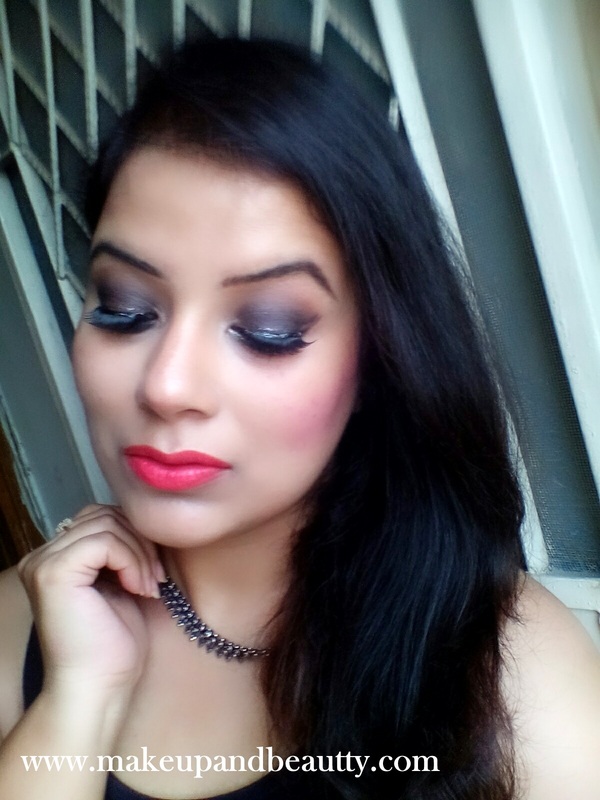 "Over in all if you are a smokey eye look lover and want to create some bold looks then this palette is must have in your stash. 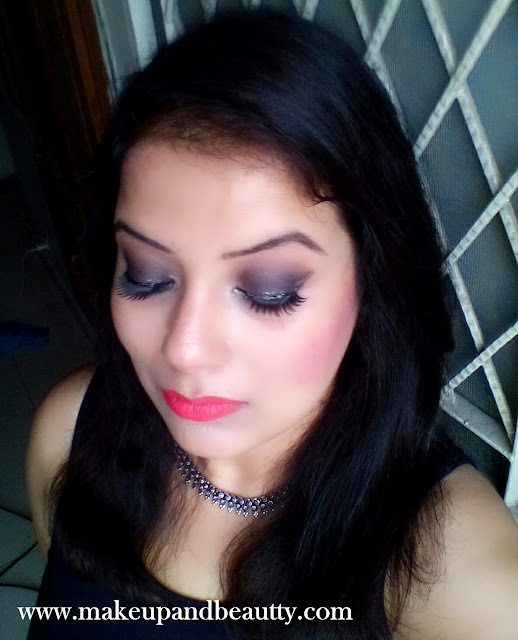 A PERFECT PALETTE TO CREATE DIFFERENT SMOKY EYE LOOK." 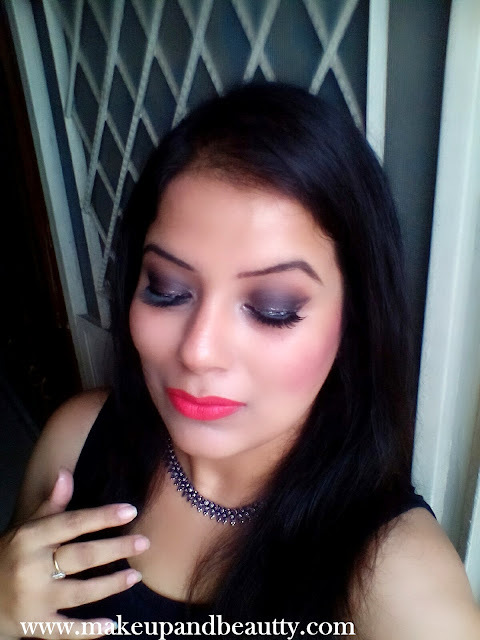 Finally, here are the few pictures of the palette along with the swatches and an eye look created by only this palette and for lips I use MAC COSMETICS LIPSTICK ABLAZE (reviewed here ) which is just perfect for this FESTIVE/HOLIDAY season.